Kernow Fires News | Ban on woodburners - Not! Ban on woodburners - Not! Kernow Fires Ban on woodburners - Not! What do new lower emissions regulations mean for wood burner owners and potential buyers in Cornwall? Happily for us - all the news is good, this legislation is designed to remove the poor quality fires and fuels from the chain, improving the quality of fuels burnt and the standard of fires available. Its been proven in London that 70% of wood smoke comes from open fires, which in its self is against the law. What does this mean for wood supplies? A ban on wet wood, as found in nets in lay-bys and on garage forecourts across the county is expected to be brought in over the next few months, we wouldn't be surprised if open fires outside smokeless zones are also subject to restrictions soon. This can only be good news for our health, the environment and our woodburners! Reduced particulates ensure a longer life for stove and flue, as well as more heat per log. 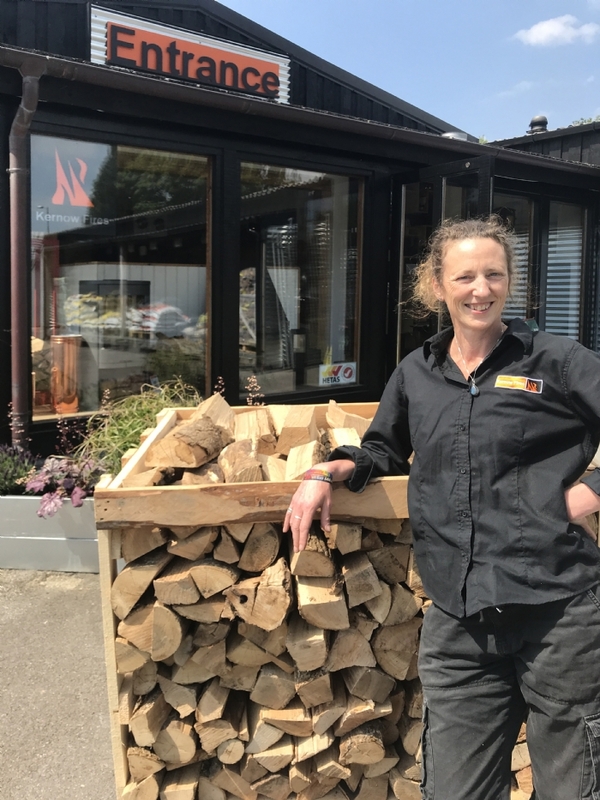 Those supplying logs with a moisture content of 20% or less and high efficiency fires such as us at Kernow Fires, will be able to continue business as usual. Well a woodburner burnt with nice dry fuel can be very efficient. Simon, the Boss at Kernow Fires explains some of the new regulations governing fires set to come in over the next few years. "Ecodesign is a new Europe-wide programme to lower emissions and particulate matter (PM) with an aim of improving air quality. It is due to come into force for stoves in the UK in 2022. The UK Stove Industry Alliance (SIA) plan to only produce stoves that meet these stringent regulations by 2020. These fires will reduce PM by around 55% from some of the most efficient fires currently sold and 90% when compared to an open fire." If you have an old stove or open fire you should be looking to replace it with an efficient up to date unit. If you are burning wood whose quality is dubious - check it and take steps to replace your supplier. For those with a modern fire and good fuel, simply sit back and smugly wait for the winter to arrive. Many of the most efficient fires on the market are on display at Kernow Fires in Wadebridge and Redruth.